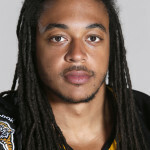 Selected by the Hamilton Tiger-Cats in the third round, 20th overall, in the 2015 CFL Draft. Played in 23 games in three seasons (2012-14) at Saint Marry’s...finished his college career with 155 total tackles, two quarterback sacks, two forced fumbles and two fumble recoveries…was named a three-time AUS all-star in 2012, 2013, and 2014 and named the CIS Defensive Player of the Year in 2014…set an AUS single-season record for tackles in 2014 with 80 tackles in eight games…recorded 13 tackles in a game against St. Francis Xavier University, setting a school record for most tackles in a game. Went to Don Bosko High School…majored in Criminology at Saint Mary’s University.